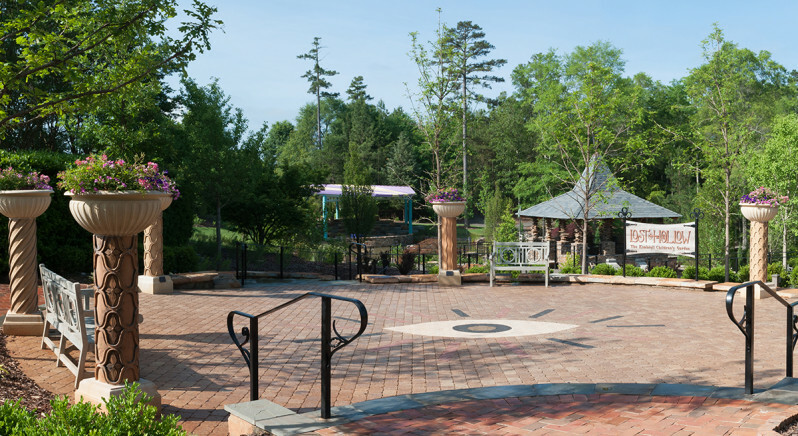 Lost Hollow, The Kimbrell Children’s Garden is the newest visitor destination at the Daniel Stowe Botanical Garden. 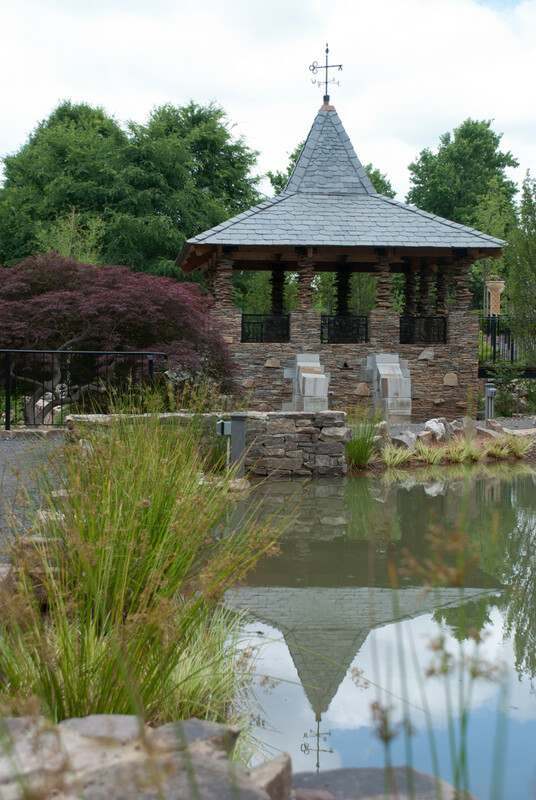 A medieval fantasyland built to inspire the imagination, Lost Hollow is designed to appear as if it is built around the scattered ruins of an ancient European castle. Created with Sitework Studios. The foundations of the ancient castle were flooded to create the central pond. 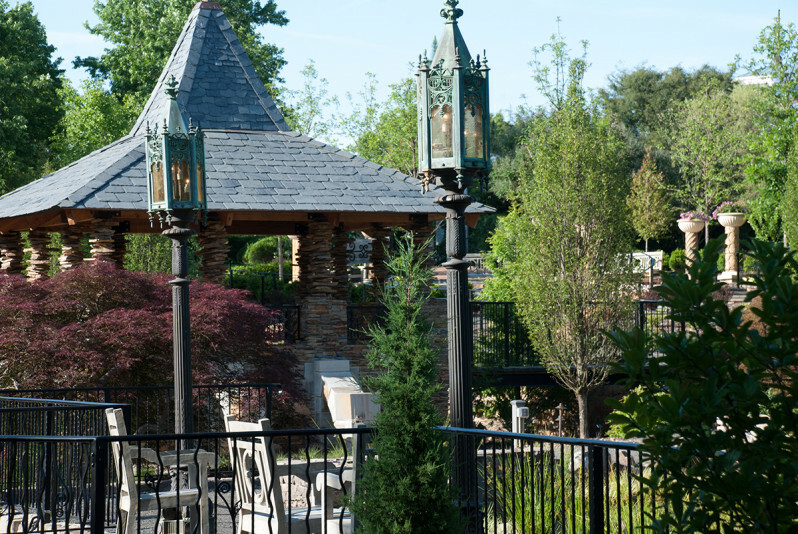 The entry Commons features an All Seeing Eye at its center, ringed by a circle of planters that rest on English chimney pots. The chimney pots were salvaged when Daniel Stowe’s mansion was demolished. A mature Japanese maple was transplanted from Daniel Stowe’s personal garden to the base of the Moon Keep. Each destination is part of an integrated composition. At the Moon Keep, stone columns look like stacked paving stones, barely able to hold up the roof. 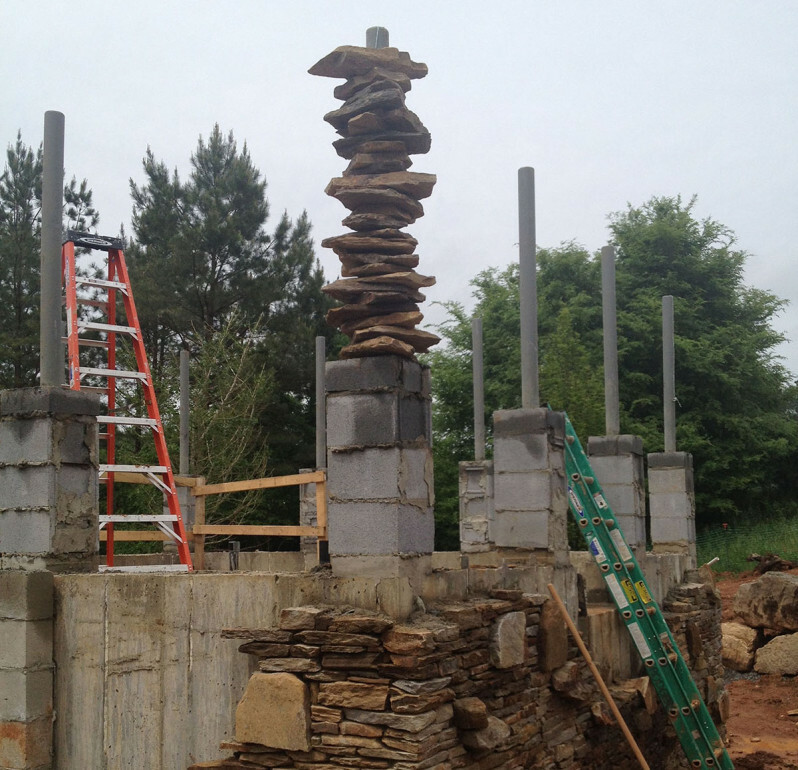 In fact, the columns are made of stones threaded onto structural steel posts. 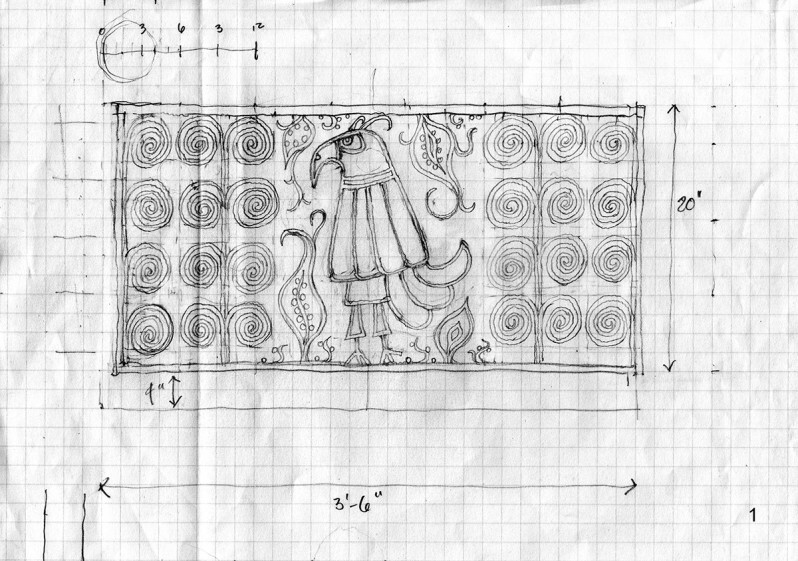 Original sketch for one of the railings in the Moon Keep. 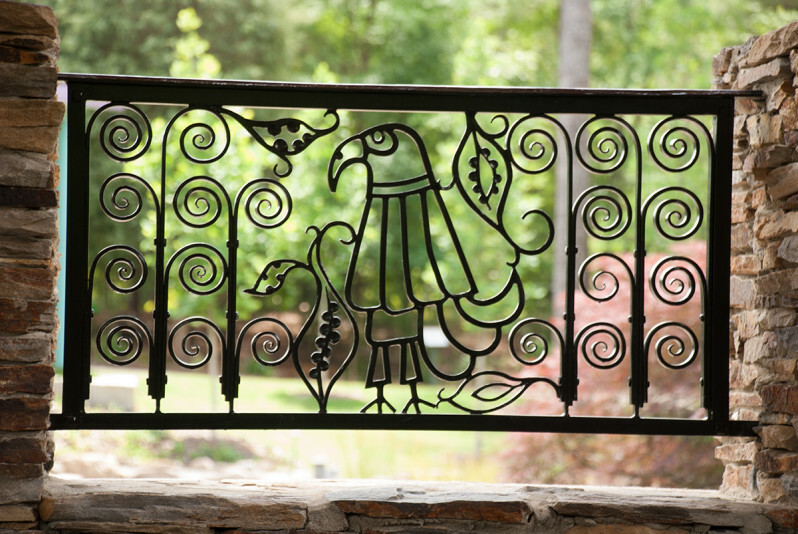 The railings were fabricated in collaboration with blacksmith Linda Metcalf (www.lyndametcalfe.com). 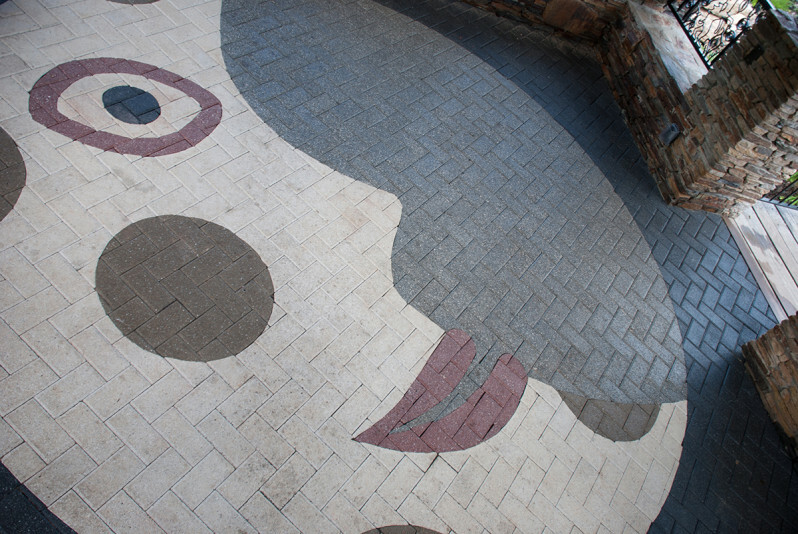 The paving pattern in the Moon Keep floor. 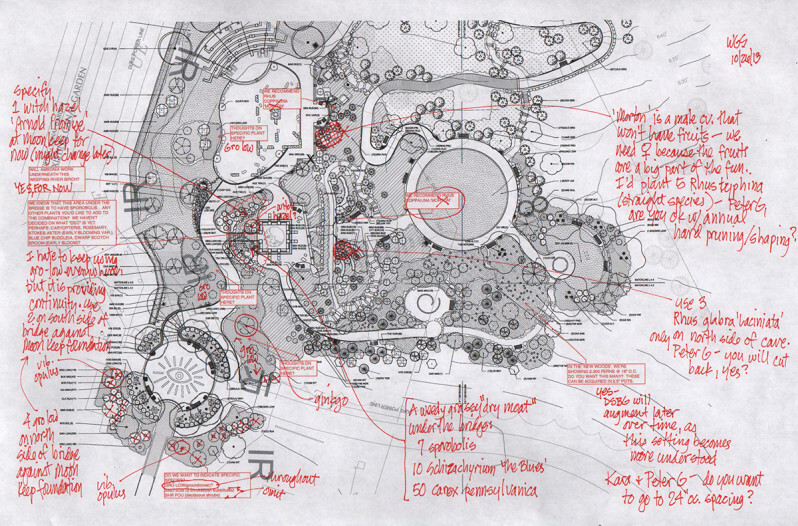 The planting design was done through an intensive back-and-forth collaboration with Daniel Stowe horticulturists. 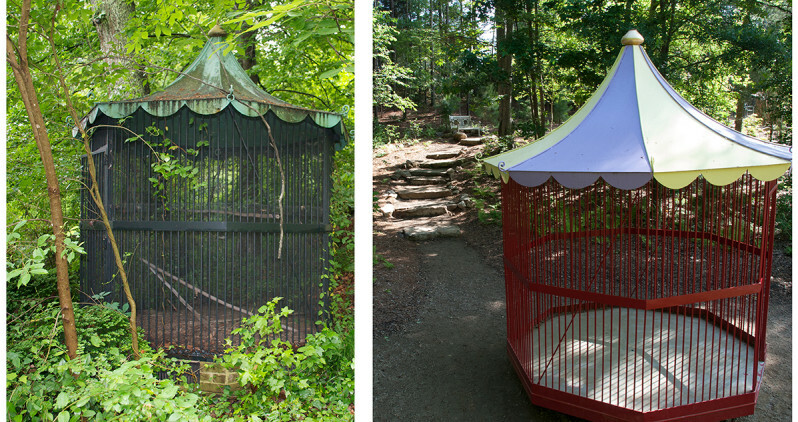 An old Aviary was salvaged from Daniel Stowe’s estate and placed on a rotating turntable. 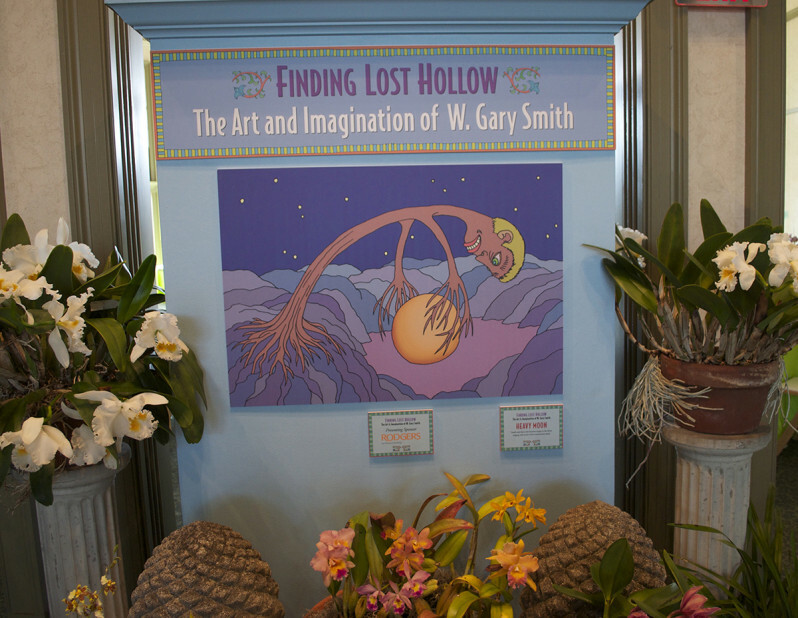 The Botanical Garden’s annual Art & Orchids show featured original artworks that were created in concert with Lost Hollow’s design. 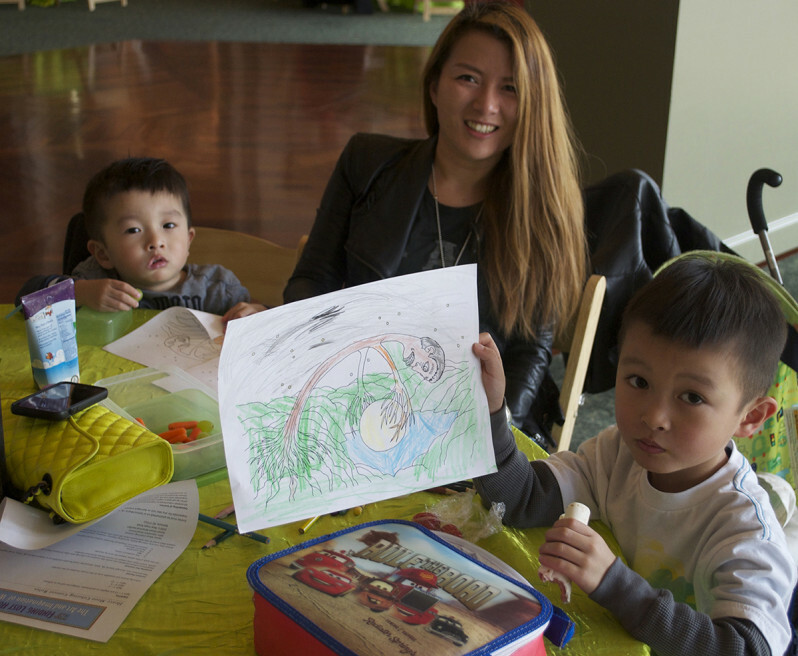 Coloring was a popular activity during the Art & Orchids show.